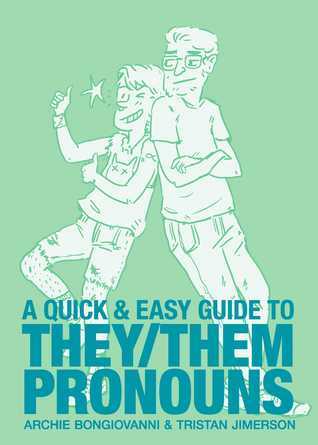 This comic guide with a goofy, gently sarcastic sense of humor is all about gender neutral pronouns – how being misgendered feels, why pronouns matter, grammar, and examples of how to use these pronouns in real life. I was so glad the authors encouraged people to try to make their everyday language more inclusive by dropping words like ma’am, sir, guys, ladies, etc. and defaulting to “person” instead of assuming “man” or “woman” when speaking about someone you don’t know. I wish the authors had addressed grammar pedants who get in a tizzy about singular they/them. They kind of allude to it when someone says “that just doesn’t sound right to me”, but this is such a common occurrence. I think people who balk at singular they/them really need it pointed out more directly, right next to the section that talks about respecting people and how it makes them feel to be misgendered. 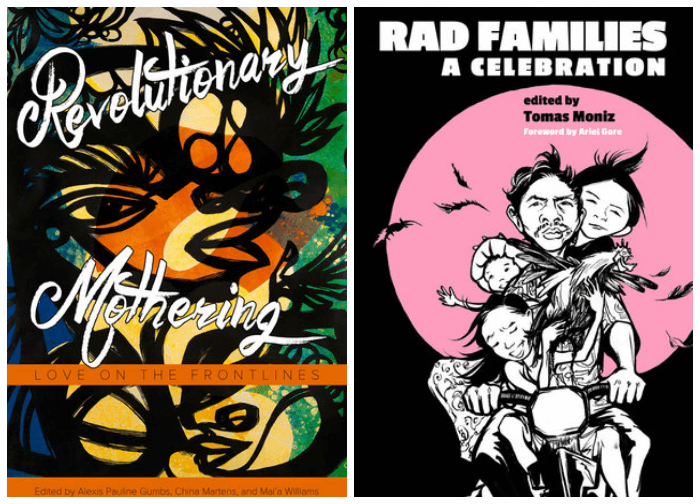 Surprisingly – and only because it’s so short – this guide really gets into the nuances that come with existing in this world as a nonbinary person. Whether gender neutral pronouns are completely new to you or you already consider yourself a well-informed ally, you’ll learn from this fun, engaging book.